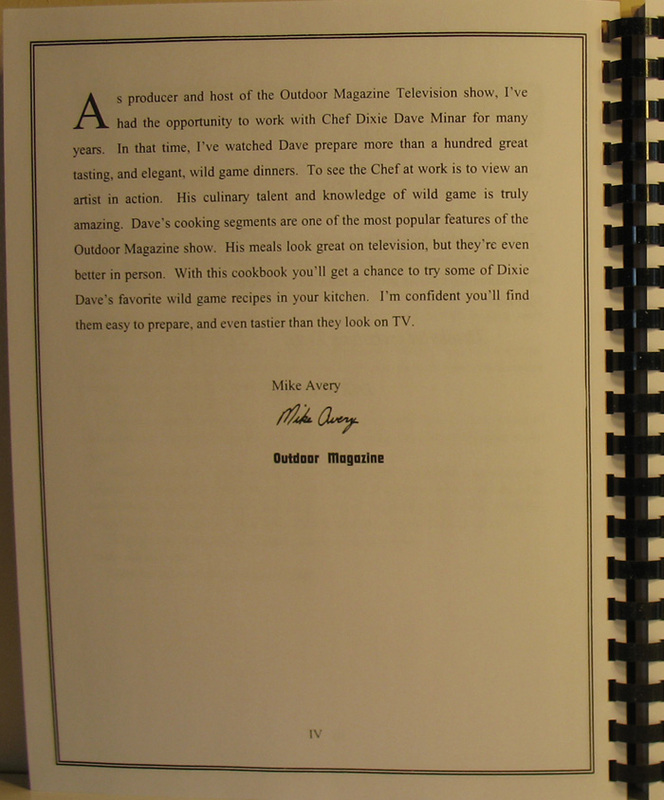 Dixie Dave’s Wild Game Recipes 4th Edition cookbook, as featured on Outdoor Magazine with Mike Avery. 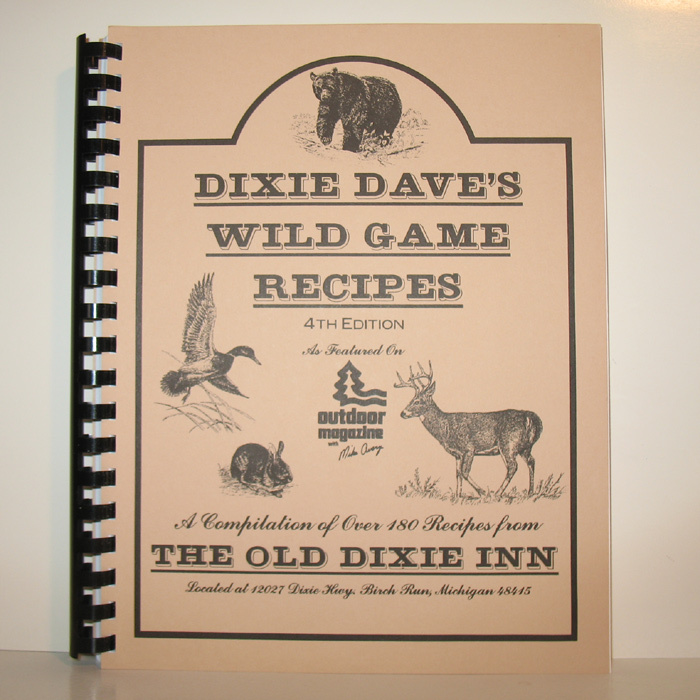 This wild game cookbook is a compilation of over 180 recipes from Dixie Dave’s restaurant – The Old Dixie Inn located in Birch Run, Michigan. 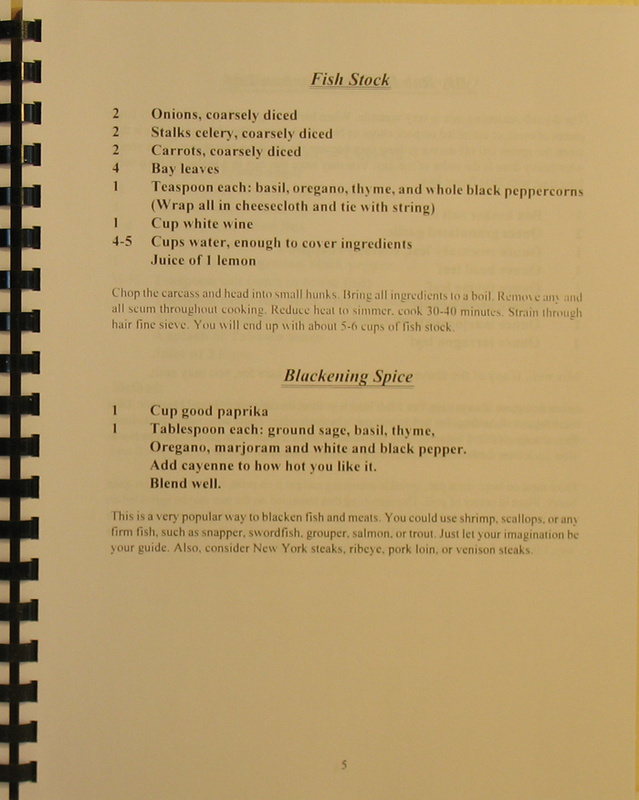 In this collection of recipes, Dixie Dave tried to create recipes containing ingredients that you would have in your pantry, or easily find in any well-stocked grocery store. 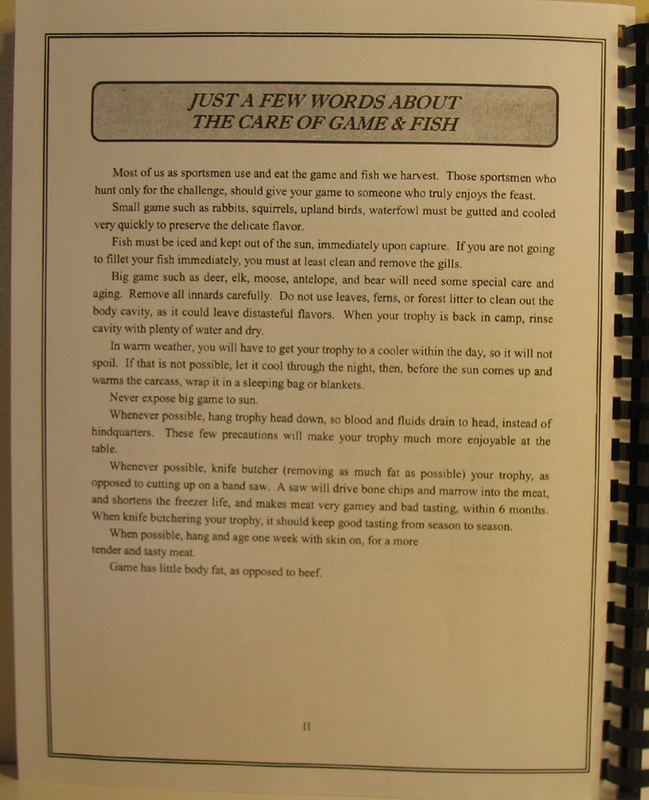 The recipes in Dixie Dave’s Wild Game cookbook allow you to accomplish a great meal with minimal amount of effort, and the maximum amount of satisfaction. The ingredients in these recipes such as spices, alcohol, vegetables, etc, are not written in stone and may be substituted or omitted to accommodate your personal preference. The cookbook is 8.5 x 11 paperback with 177 pages with several pages in the back to make notes. 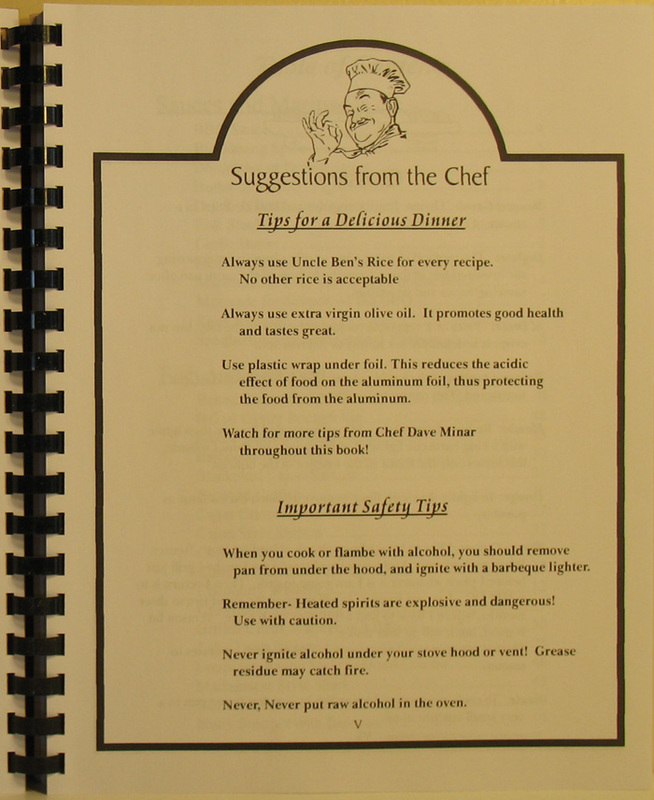 In the front of the cookbook is a glossary and table of contents to make understanding and finding recipes easy. 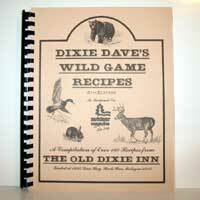 Get an autographed copy of Dixie Dave’s Wild Game Recipe Cookbook today! Please provide personalized information below. SOLD OUT! New edition will be available soon.